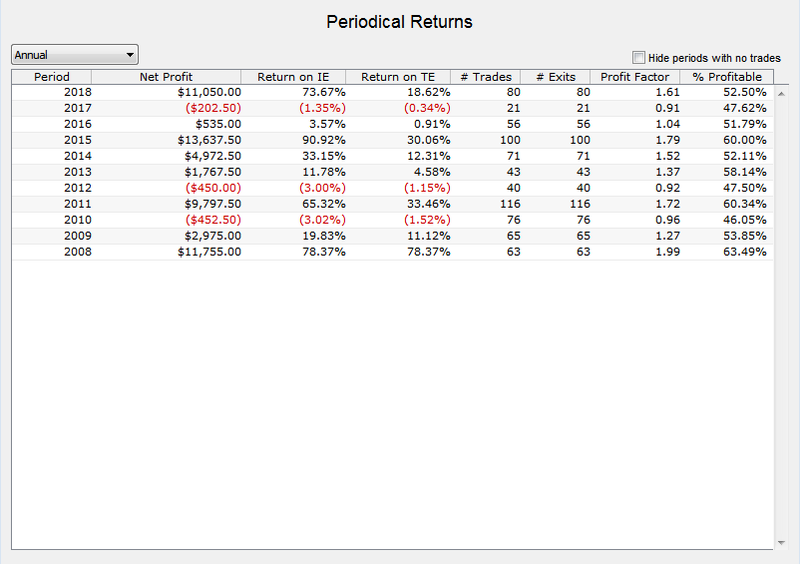 Swing trading results were mixed, and the day trading systems had nice profits. 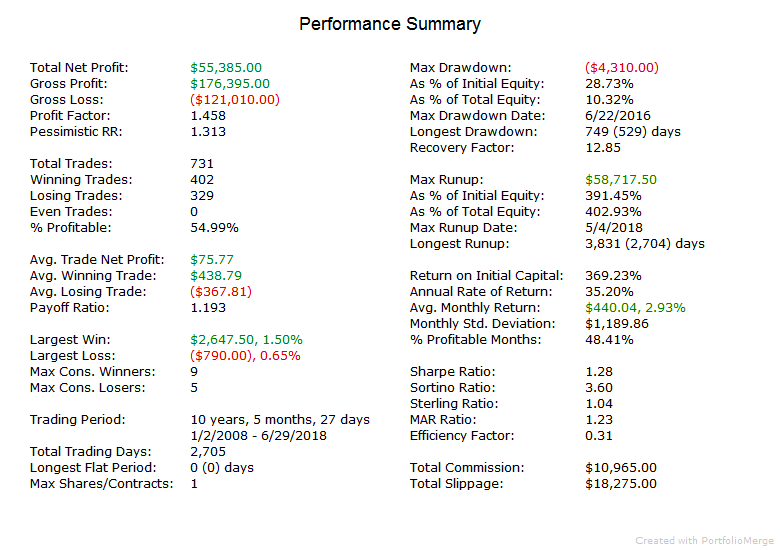 Seeing the way these strategies are performing following the market drop in early February, it might be time to bring back the day trading system portfolios. 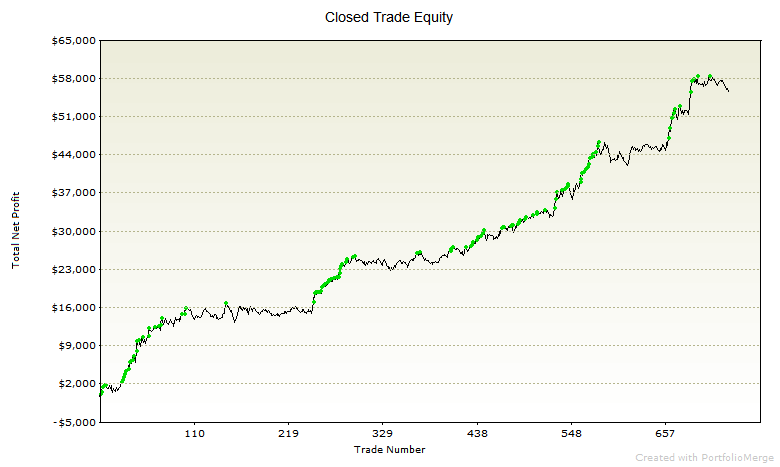 At the end of May I said I would be releasing a new day trading system in June. Where did the time go? This new system is finished, and I will likely release it in July. I have this one and some others that I am watching live that look good. They are all developed with walk forward analysis which reduces the chances of over fitting and allows the system to adapt to future market conditions. At the end of this blog post you will find performance info for one of these new systems which trades the ES (S&p 500). Past performance is not necessarily indicative of future results.